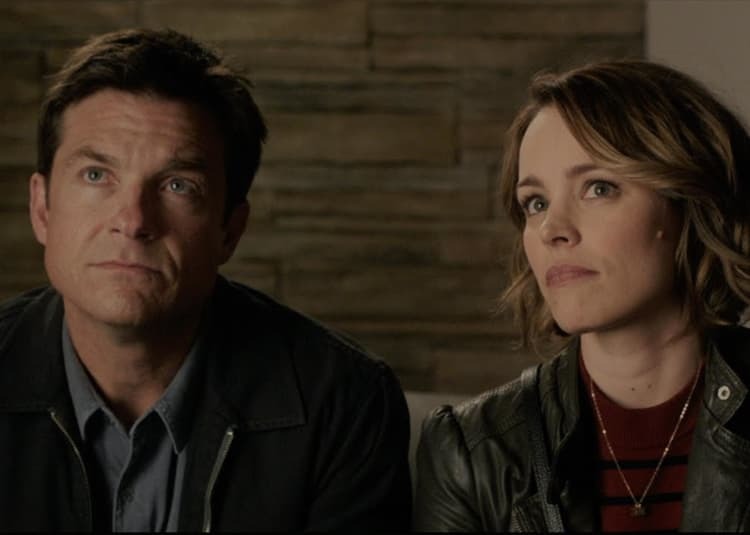 Bateman and McAdams star as Max and Annie, whose weekly couples game night gets kicked up a notch when Max's charismatic brother, Brooks, arranges a murder mystery party, complete with fake thugs and faux federal agents. So, when Brooks gets kidnapped, it's all part of the game...right? But as the six uber-competitive gamers set out to solve the case and win, they begin to discover that neither this game--nor Brooks--are what they seem to be. Over the course of one chaotic night, the friends find themselves increasingly in over their heads as each twist leads to another unexpected turn. With no rules, no points, and no idea who all the players are, this could turn out to be the most fun they've ever had...or, it's game over. 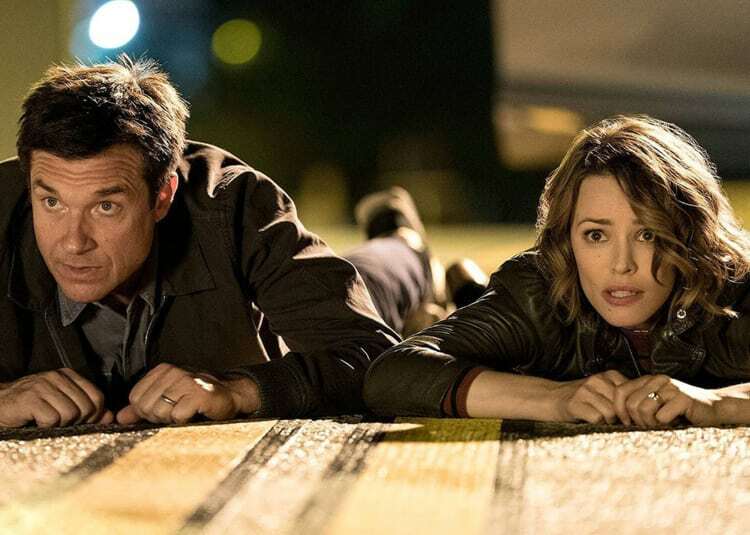 Warner Bros. and New Line Cinemas’ Game Night hits theaters on February 23, and based on its trailer, it has the potential to breathe life back into the comedy genre. Writers and performers get a unique place to shine in the most exaggerated and outrageous comedies on the big screen. The R-rated comedy is special. Jason Bateman is an American film and television actor, known for his role as Michael Bluth on the television sitcom Arrested Development (2003), as well as his role on Valerie (1986). He was born in Rye, New York. His father, Kent Bateman, from a Utah-based family, is a film and television director and producer, and founder of a Hollywood repertory stage company. His mother, Victoria Bateman, was born in Shropshire, England, and worked as a flight attendant. His sister is actress Justine Bateman. In 1981, at the age of 12, young Bateman made his debut on television as James Cooper Ingalls in Little House on the Prairie (1974): Uncle Jed, appearing in 18 more episodes in one season. Jason also appeared in the original Knight Rider with David Hasselhoff for the season three episode "Lost Knight" (aired Dec 1984) playing the character "Doug" who befriends Kitt when he loses his memory. In the mid-1980s, he became the DGA's youngest-ever director when he directed three episodes of Valerie (1986) at age 18. During the 2000s, Bateman's film career has been on soaring trajectory. In 2005, he won the Golden Globe Award for Best Performance by an Actor in a Television Series, Musical or Comedy, for Arrested Development (2003), and received other awards and nominations. Bateman has been enjoying a happy family life with his wife, actress Amanda Anka (daughter of singer Paul Anka), with whom he has two children. The Batemans reside in Los Angeles, California. Rachel Anne McAdams was born on November 17, 1978 in London, Ontario, Canada, to Sandra Kay (Gale), a nurse, and Lance Frederick McAdams, a truck driver and furniture mover. She is of English, Welsh, Irish, and Scottish descent. Rachel became involved with acting as a teenager and by the age of 13 was performing in Shakespearean productions in summer theater camp; she went on to graduate with honors with a BFA degree in Theater from York University. After her debut in an episode of Disney's The Famous Jett Jackson (1998), she co-starred in the Canadian TV series Slings and Arrows (2003), a comedy-drama about the trials and travails of a Shakespearean theater group, and won a Gemini award for her performance in 2003. Her breakout role as Regina George in the hit comedy Mean Girls (2004) instantly catapulted her onto the short list of Hollywood's hottest young actresses. She followed that film with a star turn opposite Ryan Gosling in the adaptation of the Nicholas Sparks bestseller The Notebook (2004), which was a surprise box office success and became the predominant romantic drama for a new, young generation of moviegoers. After filming, McAdams and Gosling became romantically involved and dated through mid-2007. McAdams next showcased her versatility onscreen with the manic comedy Wedding Crashers (2005), the thriller Red Eye (2005), and the holiday drama The Family Stone (2005). McAdams then explored the independent film world with Married Life (2007), which premiered at the Toronto Film Festival and also starred Pierce Brosnan, Chris Cooper and Patricia Clarkson. Starring roles in the military drama The Lucky Ones (2008), the newspaper thriller State of Play (2009), and the romance The Time Traveler's Wife (2009) followed before she starred opposite Robert Downey Jr. and Jude Law in Guy Ritchie's international blockbuster Sherlock Holmes (2009). McAdams played the plucky producer of a failing morning TV show in Morning Glory (2010), the materialistic fiancée of Owen Wilson in Woody Allen's Midnight in Paris (2011), and returned to romantic drama territory with the hit film The Vow (2012) opposite Channing Tatum. The actress also stars with Ben Affleck in Terrence Malick's To the Wonder (2012) and alongside Noomi Rapace in Brian De Palma's thriller Passion (2012). In 2005, McAdams received ShoWest's "Supporting Actress of the Year" Award as well as the "Breakthrough Actress of the Year" at the Hollywood Film Awards. In 2009, she was awarded with ShoWest's "Female Star of the Year." As of 2011, she has been romantically linked with her Midnight in Paris (2011) co-star Michael Sheen.